This trek begins from Lukla after scenic mountain flight from Kathmandu. 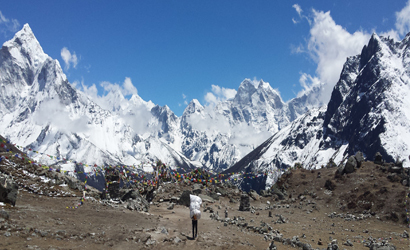 Consequently, after one-day acclimatization in Namche Bazaar, it follows all the way to Gokyo Lake. And then explore Glacier Lake around the Gokyo valley. From Gokyo Lake two-hour climb to the Gokyo-Ri (5480m/17974ft). 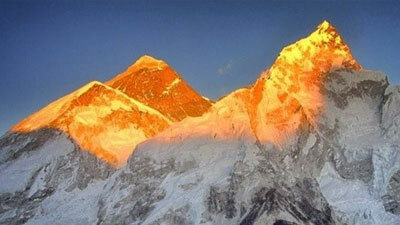 Here you can enjoy the stunning view of summit including Everest, Makalu, and Cho Oyo. Gokyo Cho la pass trek is one of the most adventurous trekking routes in Everest region. 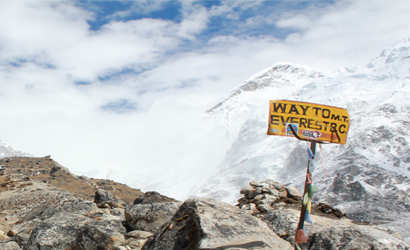 The Gokyo Cho la Pass trekking trail is also known as Everest Circuit trekking. It follows the route via high pass called Cho-La Pass at 5330 m /17482 ft into Everest Base Camp and the highest point of this trek i.e Kalapatthar. This trek begins from Lukla after scenic mountain flight from Kathmandu. Consequently, after one-day acclimatization in Namche Bazaar, it follows all the way to Gokyo Lake. And then explore Glacier Lake around the Gokyo valley. From Gokyo Lake two-hour climb to the Gokyo-Ri (5480 m/17974 ft). Here you can enjoy the stunning view of summit including Everest, Makalu, and Cho Oyo. See more. Gokyo Cho la pass trek thrilling part of the trek is to cross Chola Pass ((5330m/17482ft) and reach Dzongla. After Dzongla the trail continuing raises steadily lateral moraine from the crest. 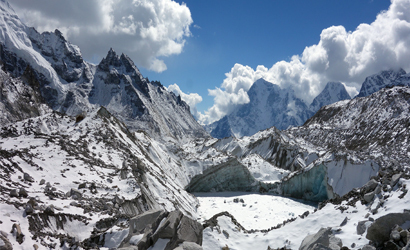 On the left, at the head of this valley, a snow-covered glacier can be seen in right of Kangchung peak. While the final ascent to the Cho-la passes is the most draining in this trekking. The Cho La Pass is also known as a Chhugyuma La in Sherpa communities. After crossing glacier lake can be seen major snow peak in Everest region including Mt. Everest. The trail continues downhill icy and rocky before to reach easier Yak pastureland in Dzongla at 4830m/15842ft. Everest Gokyo Cho La Pass Everest base camp trek another exciting opportunity is to reach the foot of the world highest mountain Mount Everest. After your visit Everest base camp your ultimate goal is to ascend the Kala Patthar (5545m) from where you enjoy an impressive up-close view of Mt. Everest. 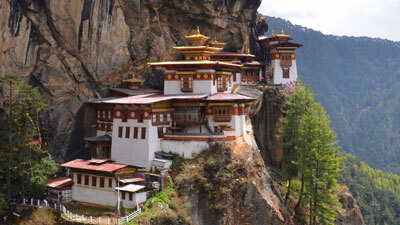 Cho la pass trek, you will return route through Tyangboche, a place where a famous magnificent monastery is located. We take a rest there and savor the incredible scenery enchaining views of Mt. Everest, Mt. Amadablam, Mt. Thamserku, Mt. Kangtega, Mt. Kwangde, Mt. Nuptse etc and back to Lukla airport. Finally, on the next morning, you take the flight to Kathmandu. Exciting mountain flight Kathmandu / Lukla.Namche Bazaar gateway of Mt. Everest. Sherpa culture and lifestyle in Khumjung,Tengboche Monastery and Everest Base Camp and Khumbu glacier. Climbing Kala Patthar (5555m) with great view of Mt, Everest, Mt Lhotse and other mountains. Cross Cho La pass (5300 meters) and tranquil Gokyo lake. Excursion to the fifth lake and Ngozumpa the biggest glacier. A thrilling scenic flight to Lukla and a landing on a steep mountain runway brings us to the start of our trek at the village of Lukla [2850m]. After meeting the supporting crew, we head up the Dudh Koshi Valley on a well-marked trail and then stay overnight in Phakding. We begin our trek on uphill and downhill trails with multiple crossings over Dudh Koshi River and a magnificent view of Mt. Thamserku (21,675ft) from the Benkar village. We cross more bridges and reach the entrance of Sagarmatha National Park at Monjo, where our trekking permits are checked. We walk furthermore and pass through Jorsale village before reaching Namche Bazaar. From here, we get beautiful views of the Himalayas including Everest, Lhotse, Tawache and others. This is the first of the three scheduled rest days which will help us acclimatize to the high altitude. As experts opinion it’s good to remain active even in your rest day which will make you more active. So we are going to spend the day enjoying small hikes in and around Namche Bazaar, Khumjung Monastery and Hillary School and museum. The trek starts steep stone staircase over the Namche. After the top, the trail becomes easier and trail contour the Dhudhkosi valley. 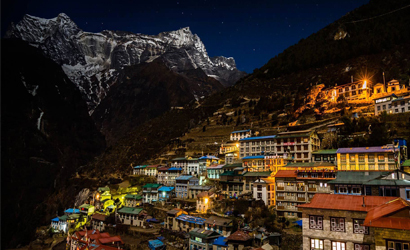 By walking you can see incredible Khumbu valley with world highest mountains and Tengboche Monastery. After you reach to Sanasa with few minutes break we head for strenuous climb to Mong Danda to Phortse Tenga (Phortse Village), On the way with the magnificent views of Mt. Ama Sablam, Mt. Kangtaga and Mt. Thamserku with Dhudhkosi valley. The trail climbs away from the Phortse Tenga passing through the Rhododendron and pine forest. After short steep climb first appears Cho Oyu. You will cross the beautiful waterfall and yak pasture. The views of Khumbila and Tawachee (6542m) are tremendous from the trail. The trail starts will gentle ascending but as usual, we will be walking in front of heart beating views. We may need to ascend slowly as we will be already in high altitude. The trail passes via scenic settlements like Lhabarma [4,330M / 14,206FT] and Luza [4,390M / 14,402]. We will be followed by scenic views of Dudh Koshi valley and some villages on the horizon. It is a scenic walking without steep climbing through the trail is ascending in most of the parts. Machherma is the last town of this kind before we reach Gokyo. Machherma is also the place where people in Khumbu region made their first sight of Yeti on 1974 AD. The trail climbs the ridge of valley excellent view of Kantaga and big Mountain Cho-oyu. The trail becomes more ups to Kharka. Here few stone houses, then trail will be easier to Pangka. From here the trail will be narrow and steep climb close to the Ngozumpa glacier. The closing stage of tough ascends crossing the bridge over the stream which flows from Gokyo Lake. 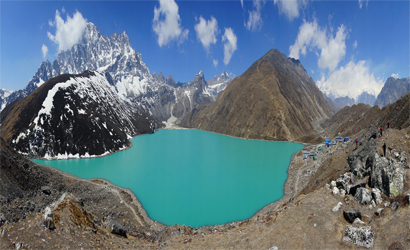 Finally, you will climb to the last Lake of Dudha Pokhari in Gokyo Lake. After breakfast we prepare our amenities for trekking where trail climb sheer up directly above the Gokyo Lake reaching to Gokyo-Ri with strenuous climb. From the top great Himalayan views of world highest mountain with Makalu range better than Kala Patthar above the Gorkhashep. If you’re feeling good you can hike to the oldest and longest glaciers of Khumbu valley. We climb out of the Gokyo village to a ridge through the Ngozumpa Glacier to the mountain on the other side on the trail to Thangnak. Furthermore, we trek passing along through the edge of that mountain, descending down with the magnificent views of Cho Oyu, Gokyo Ri, and other high Himalayas to Thangnak during our trek. 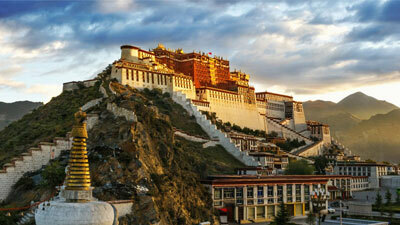 Cho La pass is also another show up of our trip which will be strenuous and can have altitude sickness. Our trail climbs through a narrow gorge and a rocky trail. Due to the landscape of glacier with slippery rocks may cause our trek difficult. We need to be careful because trail is vertical and the rocks glazed by ice add trouble to the trekkers making the trail slippery. We trek through the side of a frozen lake while we come to the top of the pass which is decorated by prayer flags. We need to pass through some gorge before we reach Dzongla. Starting our trek we climb down from Dzongla and pon crossing a bridge heading to our next destination Lobuche. We transverse through grassy trail enjoying the view of Lobuche Peak we stretch up eventually through a ridge. 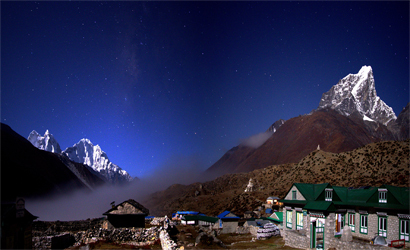 The mountains of Ama Dablam, Kangtega, and Thamserku Taboche are seen looming prominently. Curving round through the wide gravelly river bed, we reach Lobuche. Starting our trek with in mind for Everest base camp exploration, we start with easy trek from Lobuche to Gorak shep. Everest base camp is difficult for succeeding trail which involves on foot to unsteady dune, moraines and glacial debris. We will also move toward famous Khumbu Glacier and icefall. The view is magnificent reaching Everest base camp in spring, where probable climber’s tent can be seen. Enjoying at the moment with memories we head back to Gorak Shep. Day 15: Climb to Kalapatthar (5545m/18187ft). Trek back to Pheruche (4240m/13907ft). Waking up early to meet the target for sunrise we ascend our trek to Kalapatthar meaning “black rock”, with sensational Himalayan panorama view of a life time. The climb is harsh but a chance to take pleasure in your vision of viewing highest mountain at one place. We then trek back to Gorak Shep. After the mesmerizing view in mind we head back in the trail back to Pheriche. From Pheriche, you will cross River which is origin from Everest base camp. The trail descends through the Yak meadow land with extravagant view of the Amadablum, Khanga and Thamserku mountains. Under your own steam you will reach Tengboche Monastery, the biggest monastery in a mountain region in Nepal. The trail descends to the Phunki Thanga through the rhododendron and pine forest after crossing the suspension bridge over the Dudh koshi river the trail ascend to the Sannasa. From here the trail gradually descends to the Namche Bazaar. We descend on a rocky trail and cross several suspension bridges before walking on a leveled trail. The air is warmer as we walk on the same trail to reach Lukla. Our trek in the mountain ends after we reach Lukla. We spend our time reminiscing about our time spent in the mountain. You should pack up early in the morning. Then have a breakfast and hike down to Lukla airstrip. 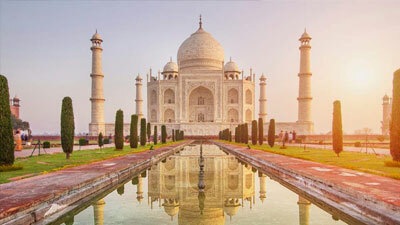 Take a flight to Kathmandu. The rest of your day is free in Kathmandu. In evening you can stroll around Thamel, the major tourist destination of Kathmandu. You can do some last minute shopping for souvenirs for your family and relatives.